Do you wish your coughing, sneezing colleagues would stay away from the office? Unlike some humans, ants seem to understand the importance of avoiding others when they are infected. When foraging ants are exposed to a fungal pathogen, they reduce their contact with workers inside the nest. 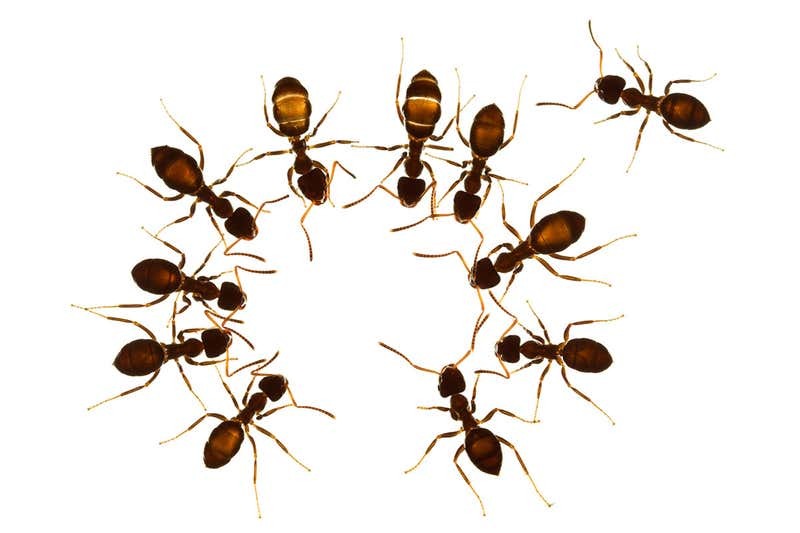 Nathalie Stroeymeyt at the University of Lausanne, Switzerland, and colleagues studied colonies of Lasius niger ants using an automated ant-tracking system. Workers in these colonies are split into nurses, which work inside the nest caring for the brood, and foragers, which collect food outside the nest. Foragers are most likely to pick up infections, but they interact less with other ants, and come into contact with those inside the nest infrequently. The researchers exposed some of the foragers to spores of Metarhizium brunneum fungus. The spores attach to an ant’s cuticle and after a day or two, the fungus gets inside the ant and kills it. Within one day of exposure to the pathogen — before ants became sick — the separation between work groups was reinforced. Exposed foragers changed their behaviour, spending even more time outside the nest and decreasing their contact with other workers. Foragers that were not exposed to the pathogen also took steps to isolate themselves, and nurses moved the brood deeper inside the nest. It’s not clear how the ants recognise the infection, but they may be able to detect the spores on other ants as well as on their own bodies. Simulations show that these changes in behaviour reduce the spread of infections and protect healthy workers and the queen from disease. Responses like this are to be expected in social insects, since only the queen reproduces, so evolution favours individual behaviour that benefits the whole colony.